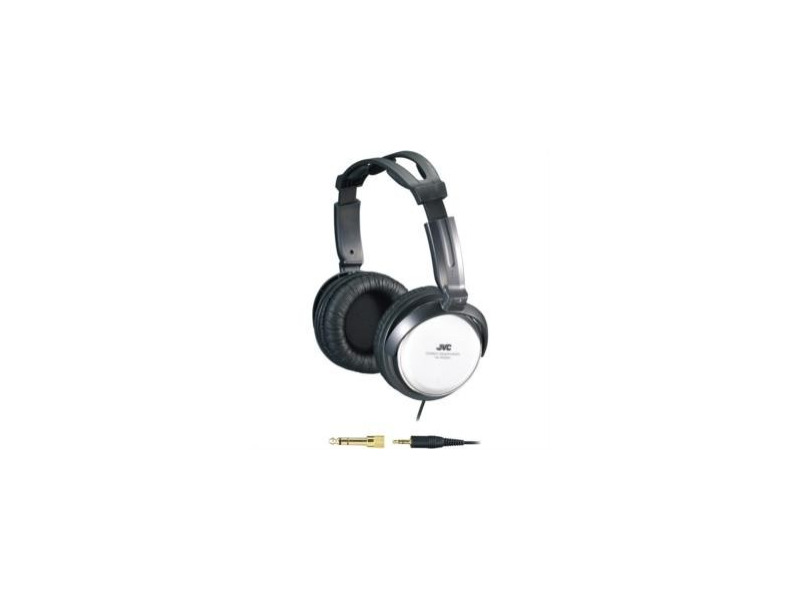 These JVC Full-Size Headphones feature a comfortable, cushioned headband and a large 40mm driver for faithful sound reproduction. They have a twist-action structure suitable for long listening sessions. A corrosion-resistant, gold-plated plug ensures excellent signal-transfer. I was going to give a 3 star rating but after some thought I believe they deserve one more star. First, if you are looking for audiophile sound from a pair of $30 headphones than don't buy these. I bought them because I wanted full size headphones on a budget. At first they are harsh and somewhat fatiguing. But after proper break in time they sound good. Do not recommend them for mp3 players. These headphones require some power to sound the best. One great Pro they have (which is why I gave them 4 stars) is durability. I have dropped them, stepped on the cord and run insane amounts of power thru them and they have not faltered one time in 3 years. No driver damage or cord damage. Another plus is they come with an 11.5 ft cord unheard of for $30. Now, sound quality, at first they require some break in time. Decent bass, sometimes shreeky mids and decent highs. The mids are the worst quality for these phones IMO. At low to moderate volumes they sound decent for $30 phones. With alot of power they start to show why they are $30. So if your not worried about concert levels then you will be ok. So for 30 bucks they are durable, comfortable and sound decent and a 11 ft cord. Not bad for the money.